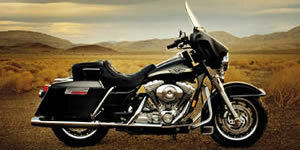 We can help you locate used Harley-Davidson Motorcycle parts for your Harley-Davidson Motorcycle. Submit a parts request to locate Harley-Davidson Motorcycle parts, Harley-Davidson Motorcycle body parts and more! If you own a Harley-Davidson Motorcycle and "UNeedAPart" then this is the site for you! To find used Harley-Davidson Motorcycle Parts please select the model year from the drop-down menu to the right and click Next Step.